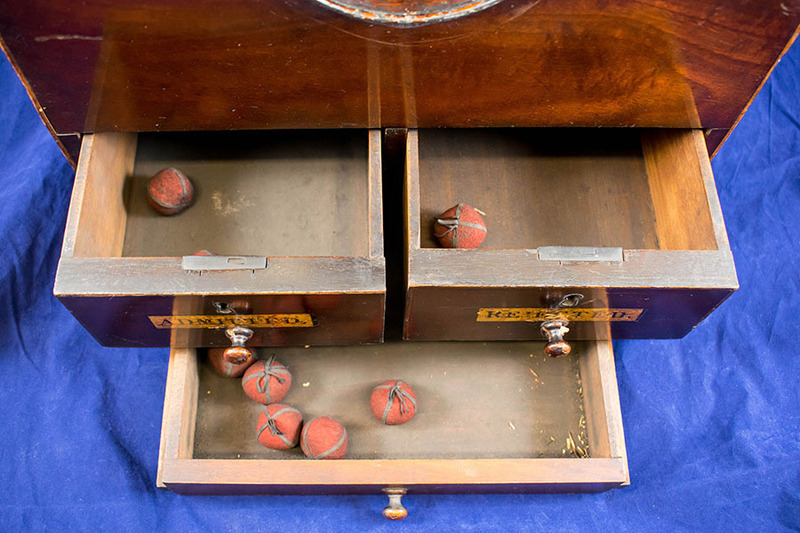 Wooden ballot box with small red balls for voting. 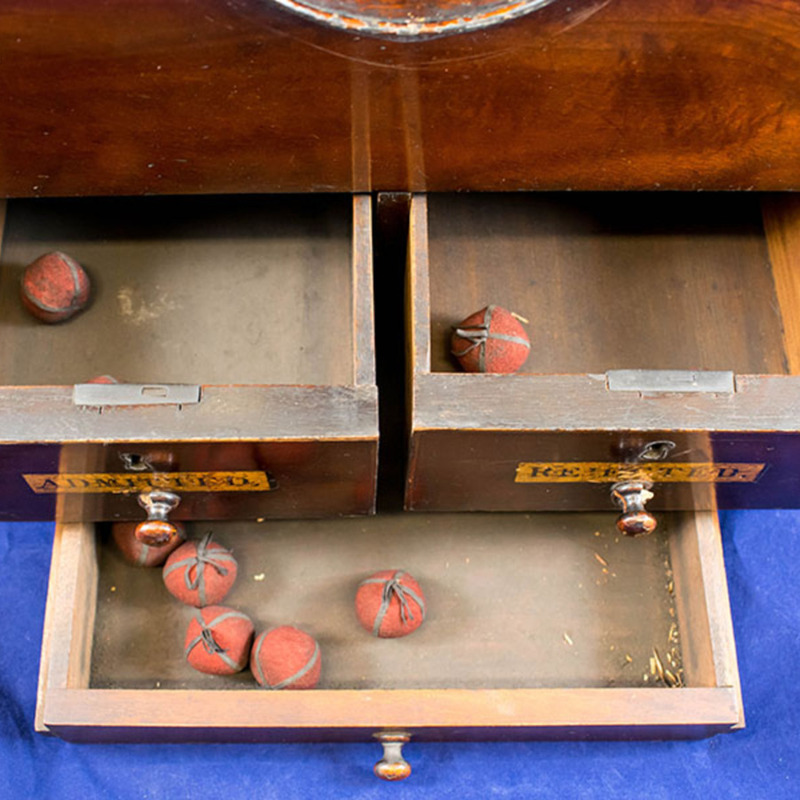 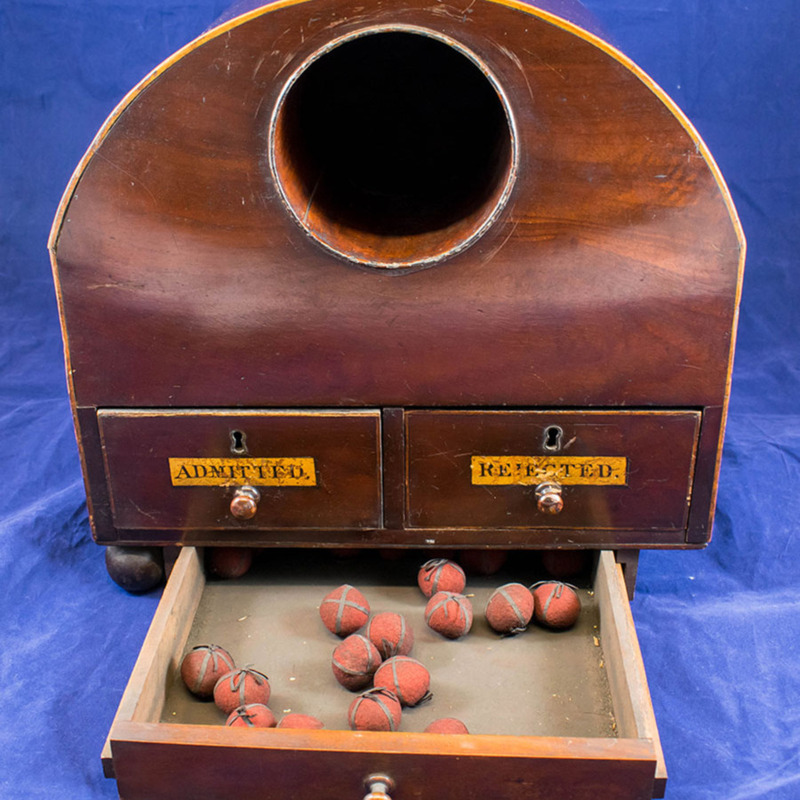 “Ballot Box,” Heritage, accessed April 24, 2019, https://heritage.rcpsg.ac.uk/items/show/548. 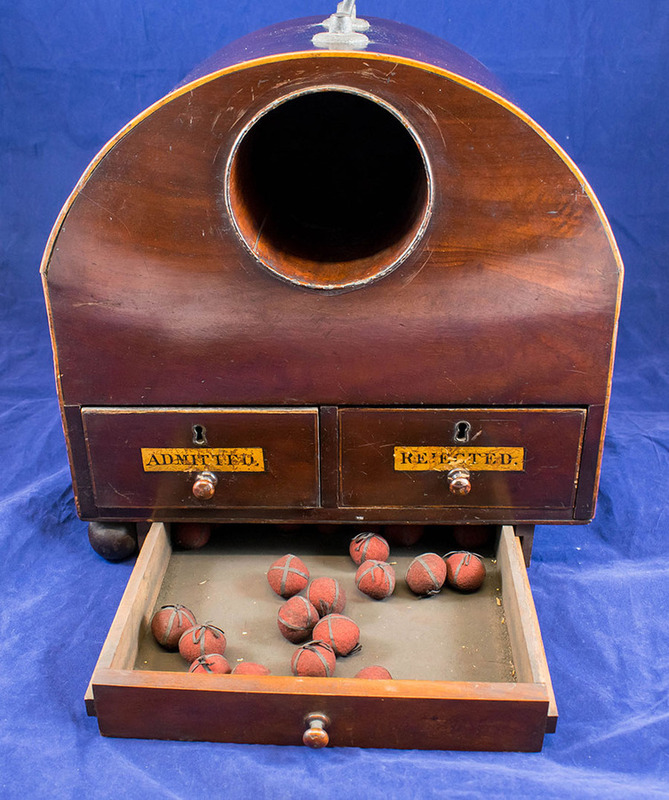 Description: Wooden ballot box with small red balls for voting.